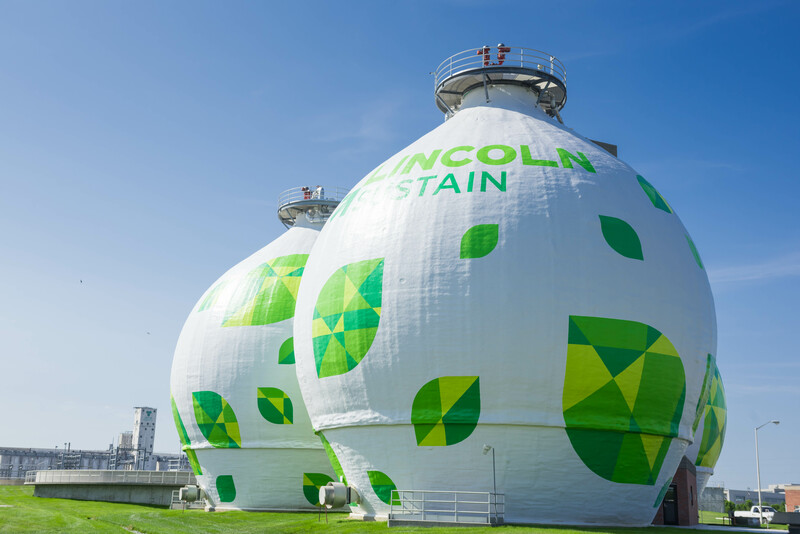 TMI Coatings’ recent project for the City of Lincoln, Nebraska has been selected by the Society of Protective Coatings (SSPC) to receive the William S. Johnson Award 2018-2019! 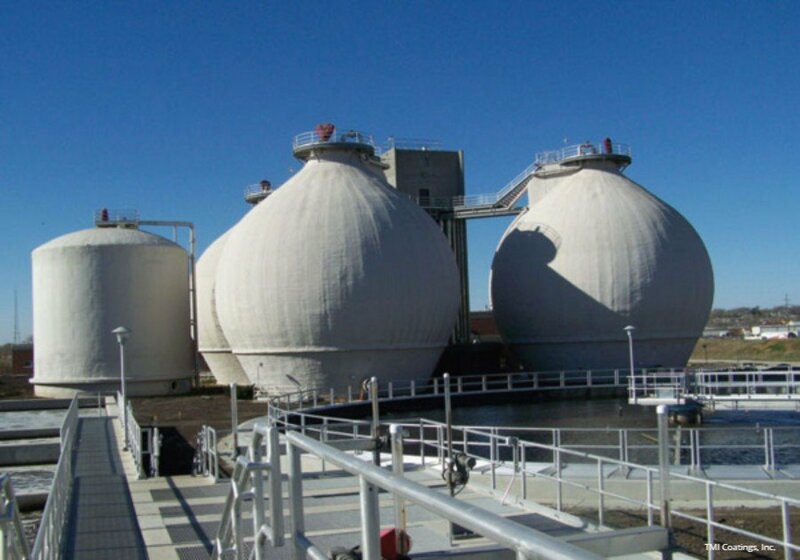 The William S. Johnson Award is awarded to a project that displays outstanding achievement demonstrating aesthetic merit in industrial or commercial coatings work. 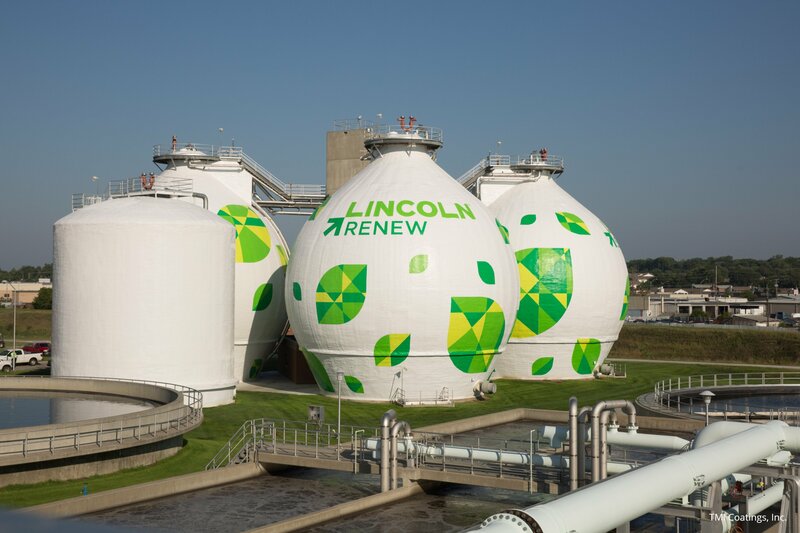 TMI re-coated three anerobic digesters and a sludge storage tank for the City of Lincoln’s Water Resources Recovery Facility. 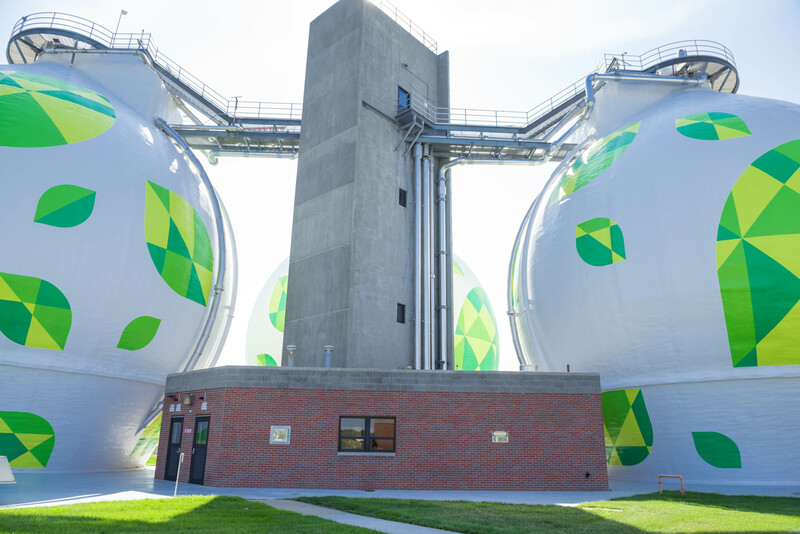 This coating project transformed the old, faded tanks to symbols of the green energy of the plant. The coating system applied was an ultra-durable white finish with new graphics. “The project was bid in the fall resulting in a small window of schedule for completion. 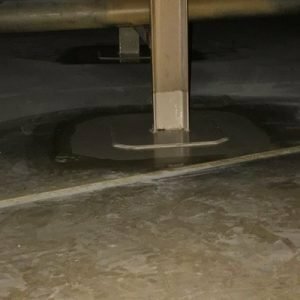 Additionally there was some uncertainty with the substrate condition and if the specified pressure wash surface preparation would be adequate. At the pre-construction meeting TMI staff displayed a thorough understanding of the project scope to include our concerns and were confident of meeting our expectations and completing the work on schedule. 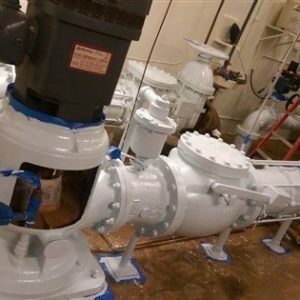 TMI worked effectively and cooperatively with our consultant and LWWS staff through all phases of the project and delivered an outstanding work product on schedule through some difficult periods of weather.